Dr. Hoven, who was addressing a Health Care in Danger side event at the 70th World Health Assembly in Geneva, said that the decreasing threshold for using violence in conflicts such as Syria and Turkey could also be observed in civil situations. Violence in health care was occurring on a daily basis across China and India, as well as in Europe and America, where patients or relatives were trying to sort out their problems with verbal or physical abuse. The event in Geneva, organized by the Swiss and Canadian Governments, was held to mark the first anniversary of the Security Council resolution strongly condemning attacks on medical personnel in conflict situations. The resolution demanded an end to impunity for those responsible and respect for international law on the part of all warring parties. D. Hoven said: ‘We need much more attention paid to the increasing violence in civil situations. Here, there is an urgent need for better protection. Facilities have to be secured against bringing in weapons, especially firearms and knives. Hospitals and clinics must be weapon free. And in conflict situations, health care personnel and facilities are becoming weapons of war and this must end. ‘We need better legal protection for medical and other health professionals as many countries already do for law-enforcement officers. Whoever attacks a nurse, physician or another health worker, regardless whether this is a verbal or physical attack, must know that he or she will be severely punished for it. ‘Finally, the decreasing threshold for using violence in civil situations is a question that points directly to the social determinants of health. They must come more into our focus. 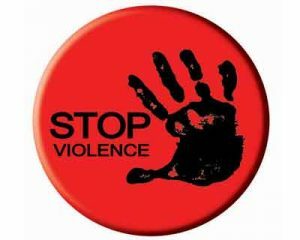 We must learn what the underlying reasons are for this trend to use more violence’.